Aniseed: Cultivated in ancient times by Egyptians, it spread to Central Europe during the Middle Ages essentially for its medicinal properties. It is a food plant for the larvae of some species of moths and butterflies like the lime-speck pug and wormwood pug. It is an annual plant and widely believed that sowing is successful in turning out ripe seeds only when the summers are exceedingly hot. Anise seed can grow up to heights of three feet or more. The lower leaves are simple and 1 – 5 centimeters long. The upper leaves are pinnate and divided into smaller leaflets. The white flowers are 3mm in diameter and are hermaphrodite, i.e., have both male as well as female organs. They grow in dense umbels. 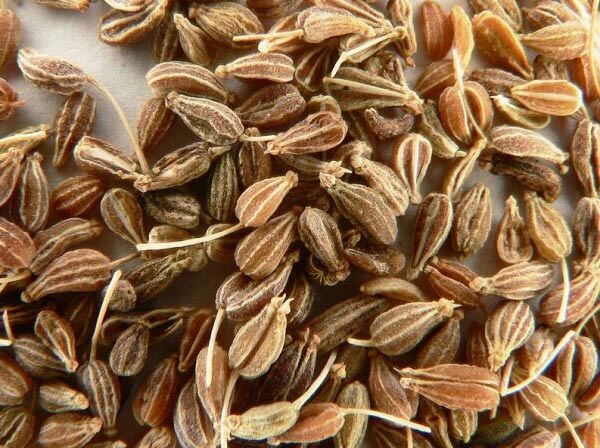 The fruit, popularly called aniseed, is 3 to 6 mm in length and oblong shaped. The leaves have a sweet flavour and very fresh to taste when chewed. For this reason, they are used for flavoring in salads, soups, and stews. The fragrant seeds are eaten raw as well as in bread, cakes, pies and other dishes as flavoring agents. The plant is self-fertile and pollinated by insects. It requires dry or moist soil rich in organic properties that have been drained, however, it thrives in sandy and loamy soils. It does not do well in shaded areas and is not suitable for places with cold climatic conditions. The seeds need to be planted the moment the ground starts warming up after spring as it requires a long “frost free” season. They need to be watered regularly initially. Once they reach a height of about 8 inches, the watering frequency can be reduced after that. The plant doesn’t require any special feeding. 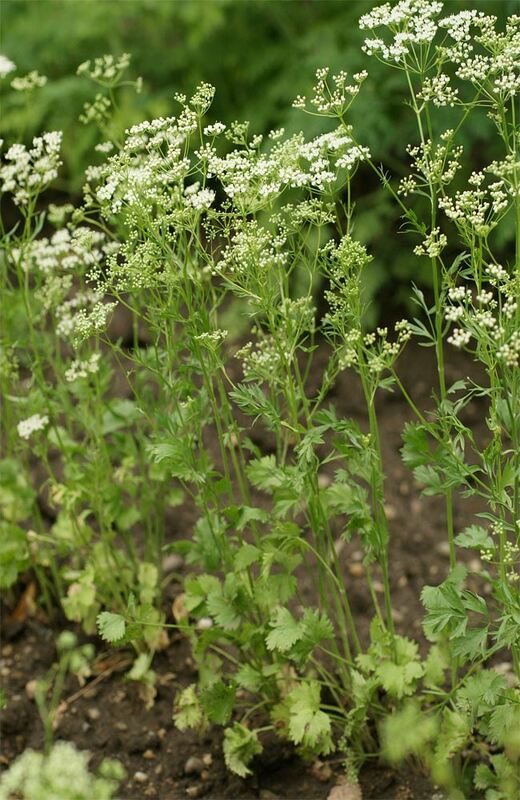 There is no danger of pests as aniseed naturally, repels them and also helps to keep the other plants around safe. The plant beds need to be kept free of weeds. 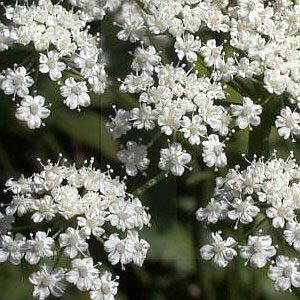 The properties of Pimpinella Anisum make it a natural choice to alleviate flatulence. When mixed with other oils, Aniseed oil provides a good antiseptic. It is of great help for providing relief when suffering from a dry cough. Used as a common cure in cases of infant catarrh. Used externally for treating lice infestation and scabies. The use of aniseed though considered alright in culinary uses, are not suited for everyone for medical purposes. It will always be prudent to get a physician’s direction. The plant is an essential ingredient for potpourri. Not only it repels insects, but it is also used to lure mice into traps as bait. An essential oil from the seeds is also used for flavouring ice creams, chewing gums, pickles, and lots of other food items. With a distinctive sweet flavour, it is also a natural choice to improve digestion and reduce the dependency on other artificial antacids. 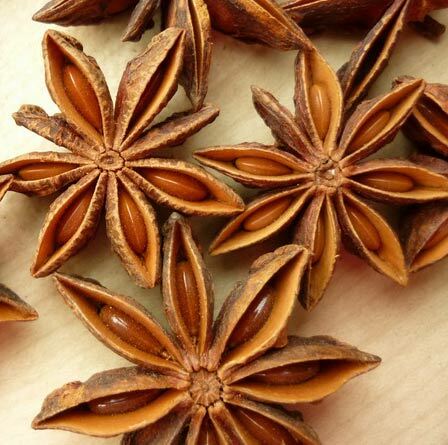 Anise is also used in a lot of places as additives to flavour liquors. It has also been used in creative and innovative ways. In Britain, aniseed oil was used by locomotive builders with white metal plain bearings to get an advance warning by the fragrance in the case of overheating.